Last year we asked you to tell us about your most interesting or challenging Gel Permeation Chromatography (GPC) / Size Exclusion Chromatography (SEC) sample and why it presented such a challenge. For instance, if you’ve made two polymers which should be different but you can’t tell apart; or have polymers that are so small you don’t have the sensitivity to measure accurately. 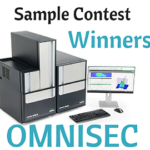 The top 3 submissions that presented the biggest challenge to our new OMNISEC advanced GPC/SEC system would be awarded with a full sample analysis along with a prize of a $100 Amazon gift card. The submissions were quite diverse which included natural polymers, silicon-containing polymers, polymer degradation studies, fluorinated polymers, hyaluronic acid found in equine synovial fluid as well as many other challenging samples for GPC/SEC. As part of a chemical engineering research group at University of Toledo, Michelle studies antifouling coatings that are derived from the natural oil in cashew shells. This oily liquid is called cashew shell liquid, and she performs a polymerization reaction on one of its components. The monomer in the reaction has a molecular weight around 300 Da. She expected the polymer to have a molecular weight of 2000-8000 Da. Michelle wanted to use OMNISEC to find out the polymer molecular weight and distribution as well as the amount of unreacted monomer in her samples. Molecular weight analysis of these samples is challenging because the monomer and polymer have similar properties. Conventional GPC was unable to precisely determine molecular weight, and MALDI could not determine monomer content. However, OMNISEC was able to tell them the molecular weight distribution as well as the content of monomer remaining in the samples. Also, they found that the polymer average molecular weight was greater than expected. It was OMNISEC’s light scattering detector that enabled the determination of polymer molecular weight at low concentrations. Analysis was conducted on a unique functionalized fluoropolymer which has been developed by Compact Membrane Systems. The polymer provides the basis for a facilitated transport membrane used for separation of alkenes and alkanes. This technology aims to provide the petrochemical and related industries with an energy efficient method for difficult gas separations, such as propylene from propane. Sabina is studying the colloidal properties, molecular weight, and structure of polyelectrolyte polymers. 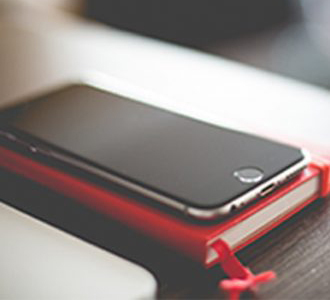 These polymers are particularly challenging for GPC analysis due to the inherent ionic nature. As a result, she has been using a batch measurement with a single-angle light scattering detector for measuring the molecular weight of these polymers. She entered the OMNISEC contest in order to obtain a second evaluation on these samples by Malvern’s expert team. 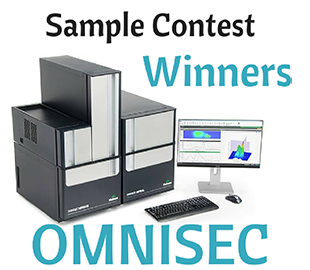 The results she obtained from this contest corroborated qualitatively with her light scattering results and proved how GPC can be useful in dissecting the molecular structures of unknown polymer samples. 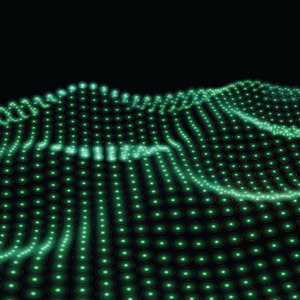 A full analysis of each sample was completed with our OMNISEC tetra detection system complete with high sensitivity refractive index and light scattering detectors, self-balancing viscometer, and UV/Vis photodiode array. To learn more about OMNISEC, the world’s most advanced GPC/SEC system click on the links below for a demo at your desk.